Are You In The Right State of Mind To Play Your Best Golf? We all want to play our best golf, whether at home, or especially if we are away on a Golfing Holiday in Asia. 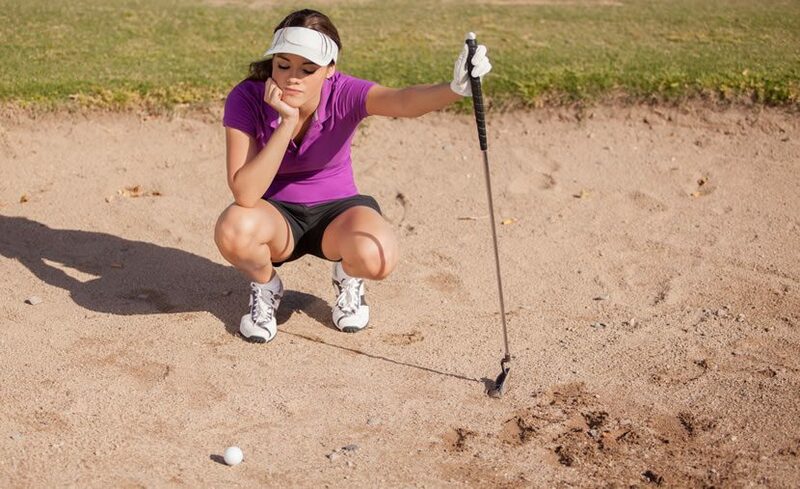 The one thing that can bring a sour type mood to a beautiful Golf Vacation is playing poorly, as this not only upsets your day on the golf course, but all of a sudden, the food does not taste as good, the bed is not as comfortable, the sights and sounds all feel a little off. Yes, playing poorly affects us in many ways as we feel frustrated and wonder if this vacation was the right idea. It doesn’t have to be this way if you play your own game and fully embrace being on a fabulous golf course away from home. What do we have to do? Well a lot of it has to do with some of your thinking, belief in yourself and commitment to the shot. We can sum this up by three things: See it, Feel it, Trust it. Before we ever try to hit a shot, we have to have some idea of what we are trying to do, especially if we are in a bad lie or a spot of trouble off the fairway and amongst some trees or shrubs. We need to be able to see and visualize the shot we want and are capable of hitting. Seeing it goes beyond merely picturing the shot in our head. We have to be realistic and actually be able to see ourselves hitting this particular shot. What does this mean? Well, I can close my eyes and picture myself jumping completely over my entire car, but the fact is that I do not have the skill to do this. Seeing yourself hit the shot means visualizing something that you are actually skilled to do, something you can see yourself hitting successfully. Once you assess the lie, the window or gap in the trees, the amount of curve or carry you need, the entire situation, then you need to see the best shot that you are capable of and a shot you can see yourself pulling off. Try to get the clearest picture in your mind’s eye, the shape, the curvature, the flight, the ball landing and rolling or spinning back, whatever the shot, if you can see yourself hitting it, this is the time to picture the complete shot. See it. Now that you have a picture of the shot you want to hit and can see yourself hitting it, we need to get some kinesthetic feel involved. We need to feel the shot. This can be done in several ways. 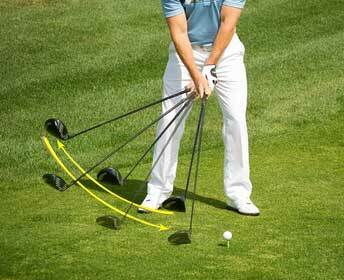 Some players like to take a full or rehearsed practice swing, some like a slow and smooth motion of practice, some might just take it to a position on the backswing as a check point, and others may just need a waggle or simply feel the shot in their hands, or adjusting their feet to feel something. Whatever your method, try to get your body in sync with the picture of the shot that you are seeing. Try to completely feel the shot with as many senses as you can. It goes beyond just a practice swing for practice swing sakes, it is to feel the shot with your entire being that you want to hit. The great Canadian Legend Moe Norman once told me he could not only feel the shot he could taste it. He could taste the ball in the air going directly where he wanted it to go. I believe it was Paul Runyon (who possessed one of the greatest short games ever) that said he could taste the bottom of the cup before putting. Now these are extreme cases of what I like to call heightened awareness and we may not be able to actually taste or smell the shot, but it gives us an idea of what is possible by the best players in the world. What you need to do is to try to match your feeling of the shot with the shot that you are seeing. Get you mind and body in sync and your success rate will rise. This is the most important step before pulling the trigger. We need to be in complete trust in ourselves to execute the shot that we have pictured or see and that we have felt. We need to clear our head with any doubt and be fully committed to the shot. Try to avoid the “anyways”. I thought I might have had the wrong club but I hit in anyways. I heard something before I started my swing but I hit it anyways Something didn’t quite feel right but I hit it anyways. These ‘anyways’ are not being committed and trusting the shot and will lead to poor outcomes. If you can clearly see the shot and feel the shot, then you can trust the shot. Here is the time to stop being modest with yourself and believe in your abilities to hit the perfect shot that you want. You have hit enough great shots before, the ones that you and your friends talk about after the round and years to come. Now is the time to believe in your abilities and fully trust and commit to the shot. The more you can believe in yourself, the better swing you will make and the better outcome you will receive. The late Payne Stewart once said “A bad attitude is worse than a bad swing” and Sam Snead mentioned “Of all the hazards, fear is the worst”. These two quotes show you the need to get into trusting what you are about to do. Never go into any shot with fear or doubt in your mind. If you truly cannot trust yourself executing the shot you are trying to picture, think of another shot as this negative trust will more than likely sabotage your chances of success. Trust yourself and your abilities. See it, Feel it, Trust it and let it go. Seeing it, feeling it and trusting it of course is not a 100 percent guarantee that we will hit every shot exactly the way we want, but what it will do is increase our percentages of success. If you can go through these three simple steps before any shot, you will have your body and mind more in sync and this is the way to better course management and saving those important shots that keep the round more enjoyable. Play to your game, know your strengths and weaknesses and manage yourself around the course the best of your ability and you will be having a lot more fun on your Asian Golf Holiday.